A website is a surefire tool to reach your personal or business goals. It helps establish a credible web presence, build a customer base, drive traffic and boost your online popularity. With a variety of ways that make it possible to launch a quality personal website, using a website builder remains one of the most reliable, convenient and effective options. Why? The thing is that website builders are initially created with the needs of all user categories in mind, be it a non-techie or a web design pro. These services are easy-to-use, intuitive and affordable. They come with a broad range of web building tools and options that eventually ensure smooth and successful web building experience. Even though the number of trusted services is quite impressive, some website builders stand out from the crowd and, thus, deserve individual attention. Let’s review the best of them now. Novi Visual Builder is an easy-to-use drag-and-drop builder that is considered to be advantageous for both professional web-developers and rookies in programming. It is highly recommended for owners of small businesses who are not ready to learn everything about coding. Everything can be done without hiring someone who is going to build an online-project from scratch. You can add and work with your content in the easiest manner ever. Just drag the necessary block. Save the most needed presets. What is more, it is possible to view all made changes in a real-time mode immediately. To cut a long story short, Novi Builder will provide you with all basic tools to create an excellent website on your own. In addition to this, you can choose from a large collection of ready-made templates developed for different business-niches. You will also get access to 20 fully-functional plugins as a contact form, sliders, countdown, social plugins, Google Maps, and so on and so forth. It is also crucial to mention that Developer Plan allows creating and selling templates empowered by Novi Builder. In other words, the number of projects that one is able to create is limitless. Keep also in mind that it was tested on different browsers which mean that you will not face some unnecessary issues. Ucraft is full-packed with features that contribute to the efficacy and quality of the web building process. The service allows building responsive websites that come with full-screen blocks and contemporary flat design. This is a decent choice both for newbies, who are just exploring the web design niche as well as for skilled web developers with years of experience, who work on client projects. Ucraft is known for its eCommerce engine, which allows building and managing quality web stores. The platform also offers a set of free Designer Tools (Typography, uKit, and Layout), which make it possible to adjust website styling at once. Free Landing Page Creator. Ucraft offers a functional and advanced Landing Page Creator, which is also free for all system users. It allows creating a landing page in less than 10 minutes, thus, saving your effort, money and time. eCommerce Engine. Ucraft comes with a powerful eCommerce engine, which is simple yet functional and effective. The eCommerce tool ensures fast and secure transactions, 24/7 customer support, social eCommerce integration options, payment and shipping, integration of versatile apps and successful SEO promotion. Multilingual Websites. Ucraft allows setting up a multilingual website by installing a special app. You can add the required number of languages to translate your website content. This helps present the information to visitors from different countries. Blogging Platform. The website builder makes it possible to publish an Articles App to let a user create a personal blog or post a news section on the website. There is a choice of blog templates, customization tools and features you can make use of to design a blog that will attract user attention. White Label. This is a perfect scalable solution for all users willing to launch their own website builder business. This is a reasonable offer for web design agencies, entrepreneurs, and freelancers working on the development of client projects. Responsive Templates. Ucraft offers several dozens of professional templates, which are sorted by industry to simplify users’ choice. The templates are free, responsive and feature modern flat design, full-screen format and industry-specific ready-made content you can replace with your own information if needed. Ucraft comes with a broad range of features and tools to give your project an advanced contemporary look. So, why complicate the web building process? If you are looking for a trusted and functional website builder, then Ucraft is a top-notch solution you won’t regret. IM XPRS is a cloud-based website builder, which works best for building landing pages, business websites, portfolios and other commercial/non-commercial projects. The system also comes with a quality eCommerce engine, which allows creating online stores with regard to your business needs and niche specialization. It is easy-to-use yet it offers a powerful feature set, which contributes to the efficacy of the web design process. The website builder offers a set of responsive templates to come up to various requirements and web design needs. Each theme provides a set of ready-made sections, the modification of which makes it possible to create a pro-level website in no time. 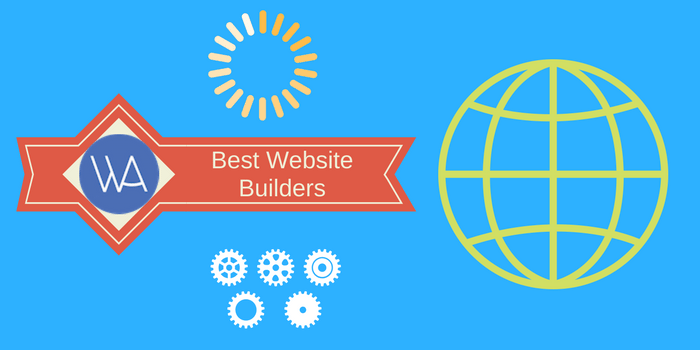 The website builder comes with powerful blogging and eCommerce engines. It is worth the attention of non-experienced creatives, artists, students, small business owners and ordinary users, who need quality websites. For these user categories, IM XPRS is absolutely free. For the owners of large companies, hosting providers, resellers and professional web designers, the website builder offers a superb White Label solution, which allows using the system under any brand name, availing multiple benefits. This allows boosting business performance, growing customer base and their loyalty. This is certainly a worthy investment into your business credibility and profitability. uKit is a WYSIWYG small business website builder, which allows launching responsive websites featuring contemporary design and decent performance. The system works well for building business websites, portfolios and landing pages. No experience or coding skills are needed to work with the system. The website builder offers over 350 responsive niche templates, user-friendly interface, extensive choice of widgets. What’s interesting, you can create a web store with the system by making use of a special widget or the Ecwid plugin that can be integrated into a website to be further adjusted with regard to your needs. Web design pros can make use of the code editing options to create unique website designs. They can also make up individual color schemes to make these designs more appealing. All in all, uKit is an affordable, convenient, functional and simple solution for many users, who value these features above all. Mobirise is the downloadable software, which requires preliminary download and installation. This, however, is not a hindrance for users, who are not that experienced in web design but are still looking for effective, simple and convenient web building tools. The fact that Mobirise has to be downloaded is often considered a benefit just because you are not dependent on the Internet connection and can manage your website from the comfort of your home or office any time you need that. The website builder allows making use of over 600 content blocks that can be arranged and modified as you need to launch a website from scratch and give it excellent design and functionality. The website builder is free, but you’ll have to pay for the hosting (the system offers a free hosting on GitHub Pages only) and extra extensions to be integrated into a website to boost its performance. There are also free and paid themes here. Mobirise is also known for its AMP Website Builder – the tool, which supports AMP web pages and allows designing them in no time. Such websites load quicker on mobile devices and come with smooth performance, which affects the search engine positions. SITE123 is a responsive website builder optimized for users who don’t know how to create a website. With a huge variety of templates and sample sites to draw inspiration from, the system is ideally suited for creating professional looking websites quickly and easily. No coding abilities or web design experience is necessary for using the system. The editor is intuitive and contained hundreds of templates for many different types of websites and businesses. A diverse app market adds dozens of third-party widgets that you can implement into your website, some for free, some for a small cost. The system also contains a powerful online store application that lets people sell both physical and digital goods online. Amateurs and novice users can make websites that look like professional web designers made them. The base package is free forever, and premium plans can be purchased for enhanced features and domain connection. All things considered, SITE123 is a powerful, easy-to-use, and convenient solution for all kinds of web users who need a professional website without the cost of hiring a web designer. Every time you face the need to launch a personal site, website builders are the answer. These services work best for any types of websites, ranging from simple landing pages and up to complicated portfolios or web stores. They allow creating and customizing website design, adding and managing content, setting up SEO parameters etc. Generally, it takes several hours and up to several days to launch and set up a website with these platforms depending upon the complexity of the service you use. There are lots of functional website builders available out there. Ucraft, uKit, Mobirise, SITE123 and IM XPRS are the services that are initially worth the attention. They are easy to use, convenient and affordable. We recommend testing all the systems prior to choosing the one that will come up to your web building needs and preferences. SITE123 was a good, comfortable and useful website. thanks for introduction it in your site.